David will be appearing in Kitty Bungalow’s 5th annual benefit concert A CATbaret! – A One-Night Celebrity Musical Celebration of the Alluring Feline! 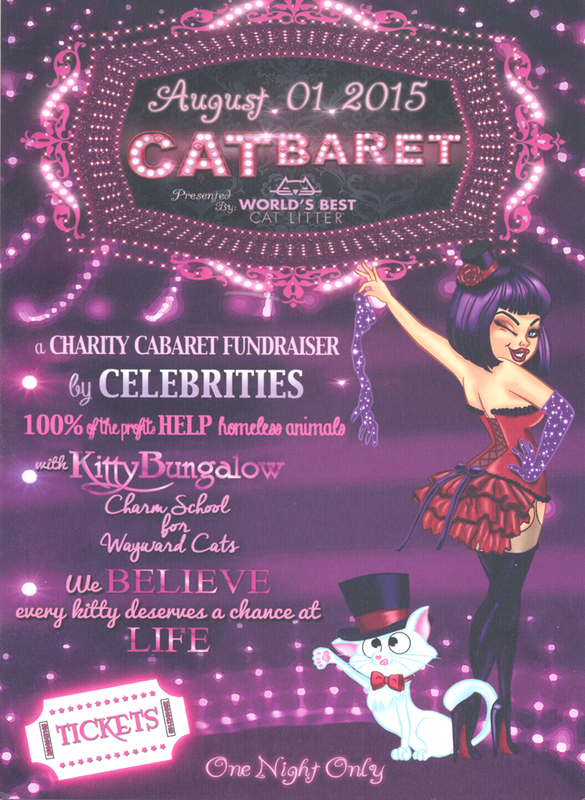 100% of the proceeds from this cat-and-cabaret themed concert, filled with exciting celebrity performances, support Kitty Bungalow’s life-saving work. Kitty Bungalow is a street cat rescue, whose dedicated volunteers spend hundreds of hours each week socializing kittens to ready them for loving homes. Kitty Bungalow also reduces the number of cats being born on the streets of Los Angeles through Trap Neuter Return (TNR), spaying and neutering over 1,000 cats each year. Enjoy a great night out knowing that you are making a difference in the lives of LA’s street cats!